by Loubna Qutami, for the Al Shabaka Palestinian Policy Network. The past decade has seen major shifts in Palestinian and Palestine solidarity activism in the US. Many of these changes both inform and are caused by the explosion of awareness of the Palestinian struggle, which has long languished at the periphery of the US political, social, and cultural mainstream. The role of students and youth in cultivating a more conscious commitment to justice in Palestine has been a critical component of these changes. In particular, Palestinian youth born and raised in the US have used their social and citizenship capital – which many of their immigrant or refugee parents did not have – to intensify the inclusion of Palestine in social justice and left agendas, institutions, and political programs. 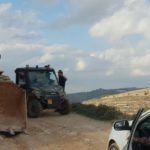 The severity of injustice for Palestinians as the occupation has intensified and war has swept through the region is now broadcast through new alternative and social media outlets accessible to the public. However, Palestine’s newfound popularity does not necessarily translate into more political power or better conditions for Palestinians. It is a matter of debate whether the wins to date are the fruit of Palestinian collective labor in the US or of the growing US Palestine solidarity movement, or of both. While the two are not mutually exclusive they should also not be seen as interchangeable. Positionality often determines investments, interests, goals, and strategies that are key both in empowering Palestinian community spaces and in engaging Palestine solidarity organizations and campaigns. This policy brief reviews the evolution of the Palestine solidarity movement; considers where Palestinians in the US are situated in that movement and how their investments, interests, goals, and strategies are or are not being cultivated; and how the engagement between Palestinians in the US and other struggles can be strengthened in pursuit of freedom, self-determination, and justice in more meaningful and effective ways. The brief also discusses how campaigns for some of the major victories of the Palestine solidarity movement in the US have created a more robust, multifaceted, intersectional, and collaborative politic in which Palestine has become eligible to be taken up by and contribute to other movements for racial equity, justice, and freedom. It explores the limits and challenges of the US Palestine solidarity movement and concludes with recommendations for ways to strengthen organizing for Palestinian rights – by Palestinians – in the US. The US Palestine solidarity movement is less of a movement and more of a loose network with little structural and political centrality. I use the term here for ease of reference to encompass all those organizations and individuals working for justice in Palestine who contribute to the growing awareness and activism for Palestine in the US. While a diversity of social and political identities and philosophies are found in this growing movement, the principles of the global, Palestinian-led Boycott, Divestment, and Sanctions (BDS) campaign has increasingly unified efforts in the last decade. The BDS principles, which emanate from Palestinian civil society and not the Palestinian political leadership, have established a consistent reference for allies and are legitimized by international law. Certainly, there are individuals and organizations who self-identify as activists who have not endorsed BDS and others who do not endorse all three of the movement’s political goals in their BDS campaigns. 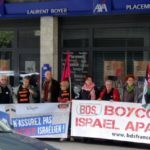 The loose network of the Palestine solidarity movement allows – and can do little to police – these differences, but there remains a general consensus to endorse BDS campaigns and the principles for which they stand. There are four types of categories or “brands” in this movement. First are the Palestinian, Arab, and Muslim organizations and groups that focus on community-based organizing and services in the US. Second are the individual activists and/or scholars who work on project-based or campaign-based initiatives and who are key figures advancing the Palestinian cause within US circuits. Third are those groups comprised of both Palestinians and allies who have come together to work for the advancement of Palestinian rights. These groups are not bound by any particular ideology or community-based demographic, and their general brand of solidarity became the largest expanding and most visible in the aftermath of the 1993 Oslo Accords and especially through the second Palestinian Intifada. During this period, such groups as the International Solidarity Movement played a vital role in bringing awareness of the Israeli occupation through trips to the West Bank and Gaza Strip and the published reports that followed. A variation of this category has developed recently, namely institutions that remain focused on Palestine in their work but that offer support services, funds, and skills for the broader Palestine solidarity movement. For example, Palestine Legal was founded in 2012 to offer legal services for Palestine activists experiencing repression. Several of these organizations that emerged in the 1990s were largely comprised of older, middle-class, white communities drawn to the Palestinian cause as a hyper-visible form of colonial occupation. This has changed in contemporary Palestine-focused organizations, along with a new, increased professionalization of Palestine activism, which comes with its own limitations in terms of sustained, organic, and grassroots political discourse, strategy, and processes. Fourth are those organizations and constituencies who have catalyzed around a constituent-, ideological-, or cause-based struggle and have taken up Palestine in their political program because it signifies a similarity to their cause, or is a manifestation of the oppression they are fighting. Many race-based joint struggle allies with the Palestinian cause belong in this group, as do labor organizations, faith-based institutions, academic associations, and anti-capitalist groups. This category has the longest history in engaging Palestinian liberation in the context of internationalism. These four categories do not always share political similarities, while some groups may overlap across the categories. For example, National Students for Justice in Palestine is a Palestine-specific solidarity organization, but it is also tied to a specific demographic: students. In addition, groups that are radical, anti-colonial, and anti-capitalist in their political philosophies may be situated alongside groups that have taken up Palestine for humanitarian purposes. In recent years, Palestinians and Palestine solidarity activists have achieved major wins, particularly with campaigns for the academic and cultural boycott of Israeli institutions. At least nine major national academic associations haveendorsed the boycott and hundreds more artists, writers, and cultural workers and a growing number of athletes have pledged not to participate in the normalization of occupation. The consumer boycott has also taken off, targeting companies that profit from the occupation. These efforts have largely been stimulated by the work of the student divestment movements that have led student representatives across the nation to vote to withdraw university investments from companies profiting from the Israeli occupation: Nearly 40 North American university student governments have voted to divest. The campaigns, coupled with social media, popular education, arts, and academic pursuits have nurtured conversations on Palestine, pulling it into mainstream avenues and breaking the longstanding institutional silence regarding the question of Palestine. They have also influenced the broader wins for BDS campaigns in the US. Much of the success of this work has relied on showing how varying dimensions of the struggle in Palestine symbolize oppression in global contexts. This has offered Palestinians and solidarity activists a direct connection with communities in the US affected by systemic oppression. It has included Palestine in social justice politics in the US and placed it in conversation with other historical causes that have reached a boiling point since the Obama administration. This is particularly true regarding the bridges forged with the Movement for Black Lives, the struggle of the Standing Rock Sioux and other American Indian nations, and the movement for immigrant rights and de-militarization of borderlands. To understand the significance of this evolution it is worth tracing the US-based Palestine solidarity movement’s shift toward a politics of joint struggle. For a long time, the dominant strand within the Palestine solidarity movement utilized a single-issue agenda in its activism, which made solidarity activists, usually white, older, and middle class, the representatives of the Palestine component of broader coalitional organizing. This is especially true for the US anti-war left. This uprooted Palestine from the Third World framework where it had been situated in the years prior to the Oslo Accords, and alienated many Palestinians, especially the new generation, from solidarity organizing spaces, given their political, cultural, and structural limits. Moreover, the post-September 11, 2001, political climate demanded strength and collectivity from the broader Palestinian, Arab, and Muslim communities in the US. The solidarity movement was not capable of nurturing this project, which required a significant level of political effort and energy. 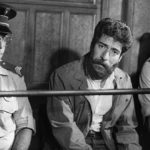 While Palestinian and other affected communities saw a correlation between the heightened criminalized raciality of their communities in the US and the ongoing struggle against Zionist occupation and US imperialist aggression in their homelands, Palestine solidarity spaces did not always directly tackle this correlation. 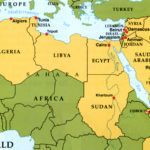 In recent years, the third category of the solidarity movement – the groups comprised of both Palestinians and allies who have come together – has taken more seriously calls from Palestinians working within it to become more self-reflexive, and to address Palestine from a joint struggle position rather than isolating and exceptionalizing it as the most severe, important, or critical cause of our time. These Palestinian calls have also urged the dominant Palestine solidarity movement to engage a more liberatory political analysis and framework rather than relying wholly on the framework of rights. These approaches had long been developed by institutions and organizations with a close working relationship with Arab and Palestinian organizing spaces. For example, groups such as the Arab Resource and Organizing Center, the Palestinian Youth Movement, the US Palestinian Communities Network, and Al-Awda: The Palestinian Right to Return Coalition had strengthened forms of two-way solidarity with the International Jewish Anti-Zionist Network, Desis Rising Up and Moving, the Malcolm X Grassroots Movement, Anak Bayan, and other community-based organizations for over a decade, revitalizing dormant historical political relations with these communities. Such alliances worked to re-ground Palestine within the joint struggle framework that was operative prior to Oslo, in which Zionist repression in the Occupied Palestinian Territory could be linked to forms of oppression impacting communities of color, indigenous and immigrant groups in the US, and Third World people globally – and to their shifting geographies and demographies. It was not until 2013 that larger and more mainstream Palestine solidarity institutions responded to calls for a broader joint struggle framework and strategy. This was reflected in major theme changes at the US Campaign for Palestinian Rights twelfth annual conference held in Arlington, VA, and the National Students for Justice in Palestine conference held in Stanford, CA. Such change resulted in more space in the Palestine solidarity landscape, not only for Palestinian individuals but for Palestinian politics and collectives. For example, the Palestinian Youth Movement began to deeply engage in the more mainstream elements of the Palestine solidarity movement in the US in 2013. It is critical to acknowledge that this shift did not happen outside of political developments impacting other national liberation movements. The rise of a monolithic economic and political world order played a critical role in decimating these movements’ power through infiltration, assassinations, and imprisonment of leaders. The emergence of the US as a unipolar power, the collapse of the Soviet Union, and the decline of the non-aligned movement’s political power marks a moment that redirected these movements’ strategies and alliances from liberation-based approaches. What has emerged in their place is a less centralized and less ideologically based political activism that is sometimes part and parcel of neoliberal discourses of humanitarian aid, rights, nonviolence, the politics of representation, and citizenry. In the 1970s and 1980s, the Palestinian movement established deep reciprocal ties to such groups and causes as the American Indian movement, the Puerto Rican national liberation cause, and the Black Power movement, including those fighting for an end to South African apartheid. These ties persisted after the Oslo Accords, but because of the precarity of all these communities and movements, the relationships took form in less centralized and organized ways. Many prominent Palestinian figures, such as San Francisco State University Ethnic Studies Professor Rabab Abdulhadi, have persistently worked through the neoliberal turns in Palestine solidarity activism to nurture a more historicized legacy of transnational, Third World joint struggle political consciousness among a new generation. 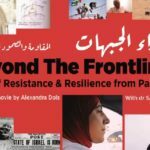 The new developments within the broader Palestine solidarity movement, especially informed by its student and youth participants, can be seen as a return to the original politics of solidarity that had long shaped the Palestinian diaspora’s political engagement in the US through a more internationalist anti-colonial movement. Examples of new joint struggle frameworks include the topic- or community-specific delegations to Palestine that have increased in the last decade. Organizations and activists have arranged such programs to highlight the ways the Palestinian struggle reflects multiple lenses of struggle. The Inter-Faith Peace Builders delegations, for instance, have included both faith-based delegations as well as indigenous and people of color delegations. 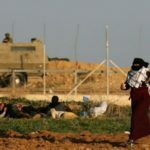 The ways in which the Zionist settler-colonial and apartheid regime is inherently a project of gendered violence has also allowed for a growing analysis of Palestine as a feminist issue. This has been reflected in activism following an indigenous and women of color delegation to Palestine in 2011. A summer 2014 delegation of black journalists, artists, and organizers representing Ferguson, Black Lives Matter, Black Youth Project 100, and the Dream Defenders also heightened intersections between the black struggle in the US and the Palestinian struggle. Following the delegation, a new collective called Black For Palestine was established. It issued the 2015 Black Solidarity Statement with Palestine, with over 1,000 prominent individual and 39 organizational signatories. 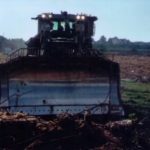 On a similar but smaller scale, labor union organizing for Palestine has increased, connecting the exploitation of Palestinian labor by the Israeli occupation to US labor union members’ struggle for equitable wages and working conditions. Rank and file members of US unions have a history of solidarity with Palestine. For example, in 1969 the League of Revolutionary Black Workers in Detroit officially recognized Palestinian oppression as a reflection of the racism and colonialism affecting black South Africans, Vietnamese, Latin Americans, and black Americans in the US. Recent years have seen a string of labor victories. In 2014, UAW 2865, the union that represents 14,000 University of California readers, tutors, and teaching assistants, became the first labor union in the US to endorse a full BDS campaign by a majority vote. Several other local UAWs followed suit, defying pressure from UAW international to nullify their votes. New technology has allowed a strengthening of popular education, particularly among the new generation. For instance, youth communicate via social media the severity of life under occupation in Palestine, connecting it to US aid for Israel and to ongoing local US struggles for social justice, racial equity, and civil and human rights. 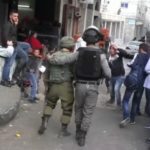 Non-Palestinian youth who have learned about the occupation through such forums and campus activism also share information using these techniques. Further, alternative media outlets such as the website The Electronic Intifada allow a rekindling of natural alliances that have always existed but are now more visible. New relationships and collaborations have fostered a more reciprocal form of solidarity, removing Palestine solidarity work from its silo and placing Palestine at the heart of struggles with other communities fighting settler-colonialism, environmental degradation, racial warfare, labor exploitation, immigrant and refugee rights, and gendered and state violence and repression. The above review and analysis provide a backdrop for suggestions for both Palestinians and Palestine solidarity activists to underpin intentional, ethical, effective, and productive strategies to ensure Palestinian rights. The Palestine solidarity movement has long debated the best approach to use as a mobilizing catalyst: Anti-occupation, anti-Zionism, and/or Palestine solidarity. The lack of consensus is partly due to the fact that the three approaches are sometimes discussed as mutually exclusive. 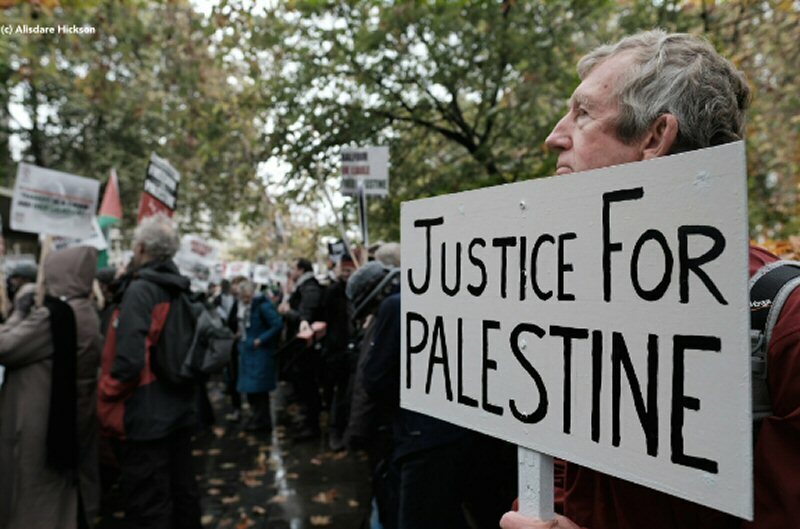 The dominant form of Palestine solidarity activism challenges the Israeli occupation in the West Bank and Gaza Strip, but does not always question Zionism as a racist and settler-colonial ideology. As a result, it allows Zionism to exceptionalize itself and makes possible the growth of Zionist repression on the movement’s calls – however minimal – for human and civil rights. This move forced a broad pushback from California Palestine solidarity groups and resulted in putting into political question Zionism as a legitimate ideology. The International Jewish Anti-Zionist Network undertook a thorough investigation of how Zionist forces have established a financial system to repress the Palestinian movement and other social justice movements in their Business of Backlash report, while Palestine Legal and the Center for Constitutional Rights produced a comprehensive report of the ways Palestine is exceptionalized and how policies of repression that infringe first amendment rights and civil rights are executed. 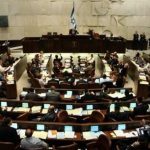 On the one hand, Zionist repression is squeezing the space to engage Palestine in ethical and justice-centered ways without facing severe consequences, yet on the other, the measures being passed to criminalize Palestine activism are being actively discussed and are leading to what could be termed a de-normalization of Zionism – including by groups who had previously not engaged in such activism. Prominent organizations within the movement such as Jewish Voice for Peace are deepening their engagement with anti-Zionist principles and refusing to allow accommodationist methods as legitimate strategies. They are also refusing to represent Jewish identity as a monlithic and uni-national narrative. Their work in combating repression is critical to the developing polity of solidarity. The movement’s activists would also do well to fully articulate how Zionism hurts communities beyond Palestinians. The movement can draw on such organizations as the Malcolm X Grassroots movement, which have long been doing this work, to cultivate a commensurate political narrative and strategy. They would further be advised to deepen a focus on the role of Israel in worldwide repression in order to strengthen a global movement that is anti-Zionist. Victories in the Palestine solidarity movement through consumer boycotts and institutional divestment campaigns have eclipsed the role of the S in BDS. By focusing only on private company profit in BDS work, activists inadvertently eliminate the foundation and functions of the Israeli and, for that matter, the US nation-state as colonial enterprises. Moreover, appeals for legislative change or participatation in boycott efforts effectively uphold the merits of that colonial state. This is a fundamental contradiction between liberal strategy and revolutionary philosophy that has long haunted the Palestinian struggle, as it has many other liberation movements, and that poses major dilemmas for the Palestinian citizens of Israel. As the US continues to cave to Zionist pressures, expand imperialist programs in the region and globally, and increase policing, state violence, and the prison industrial complex in the US, it is the movement’s duty to escalate opposition. Palestine solidarity work has long focused on calling for an end to US military aid to Israel. However, much of that work was unachievable because it relied on broad campaigns such as protests, letter writing, and meeting with congressional officials. While such strategies applied political pressure, they did not put forth forms of accountability or tactics to bolster the longevity of the movement in the face of empty promises by elected leaders. 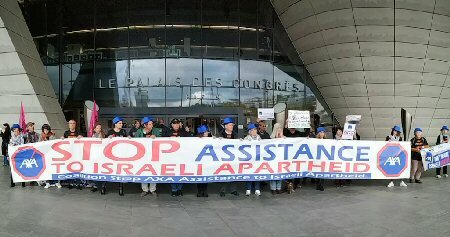 Today, the Palestine solidarity movement and its allies stand to achieve more substantial wins by working on local campaigns for sanctions that link the oppression of Palestinians to the role that the Israeli arms trade and security training programs play in local US municipal politics and militarized policing systems. Advocating for an end to these training programs and engagement with local law enforcement builds on the legacy of sanctions advocacy while committing to local social justice causes and communities. California’s Stop Urban Shield coalition is an example of a group linking local and global structures of oppression through multi-sector local organizing campaigns. Current Palestine solidarity work is found in localized sites and only offers informal channels for new initiatives and conversations to emerge. Re-kindling the bonds of Palestinian peoplehood must be a critical component of the strategies of all Palestinian organizations. It is one of the primary goals of the Palestinian Youth Movement. At the same time, solidarity organizations should offer support, resources, skill-sharing, and more to Palestinian collectives as a contribution to the overall movement. Support for organizing and community building spaces for Palestinians and Arabs should not be misinterpreted as ethnocentrism. Rather, this is rooted in the idea that Palestinians, as a diasporic people, must build their historical archive, sense of community, and peoplehood in pursuit of a more coordinated liberation strategy. This is especially the case because Palestinian history continues to be erased in the absence of a land base. Such support has never been a call meant to privilege Palestinian individuals as authorities on subject matter and decisions nor to idolize or romanticize Palestinians for their “identity” or individual experience and colonial condition. It is important for allies and Palestinians alike not to reproduce arbitrary definitions of authenticity politics nor to take direction from Palestinian individuals who do not represent a more collective Palestinian process. 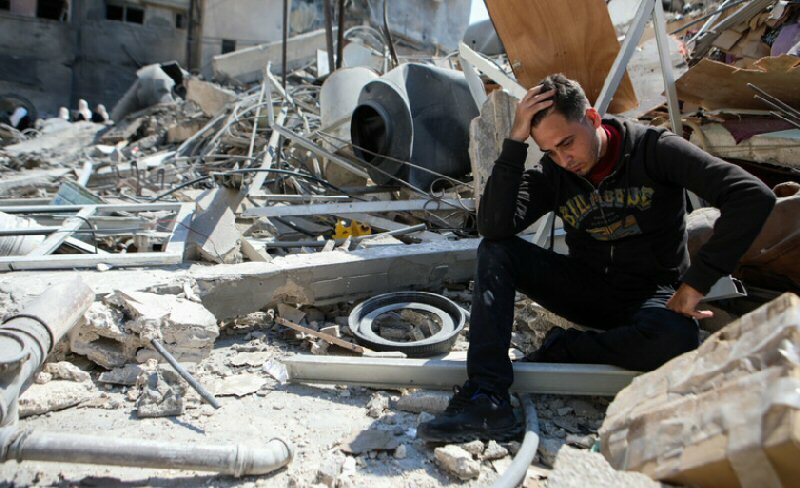 It is also critical for Palestinians not to indulge in victimization and to alienate themselves from the broader circuits of non-Arabs who have long sacrificed for the Palestinian struggle or from the many allies who are struggling against their own forms of oppression. At the same time, it is important to document the history of the Palestinian movement. The narrative of the Palestinian and Palestine solidarity experience in the US does not begin on September 11, 2001, or with BDS. Although Palestinian archives are not as complete and accessible as those of their counterparts, there are still ample sources and people who can help provide a richer history of Palestine work in the US. While it is important to research the long history of repression Palestinian communities have faced, it is more important to do the same for their longstanding strategies of resilience, solidarity, and organizing. It is also essential to focus on the relationships that the Palestinian movement has built for decades with other communities and in the streets, not just in the university. The Arab American Action Network in Chicago exemplifies the value of such longstanding ties. 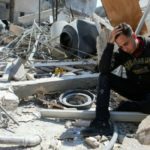 Building on these lessons and accomplishments will foster a different kind of organizational practice – one in which Palestinians, together with their allies, can build up history so that they do not need to re-invent in each generation and each geographic context a new liberation strategy. Advocacy work on Palestine that does not account for the racial experience of communities affected by the War on Terror in the US and the wars waged by the US in the region deliberately separates the struggles for justice in Palestine and the struggles for justice in other communities. Islamophobia does not emerge as a fear of the unknown or out of ignorance. Rather, it is an outcome of institutional implementation of policies of war, violence, and racial subjugation. These policies contribute to and are informed by the US effort to secure its interests in the Arab region and its relationship with Israel, as well as Israel’s growing role in US militarization, counterterrorism, the prison-industrial complex, and policing. 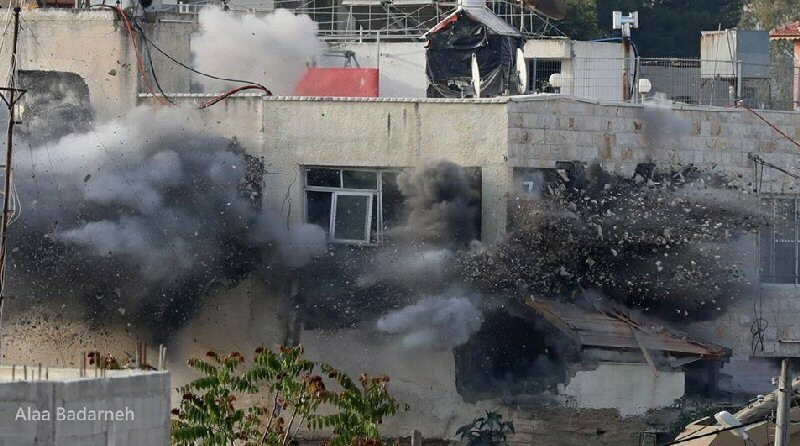 Palestinians and Palestine solidarity activists must articulate the relationship between Palestine and the War on Terror as well as the connection between the US racialization of affected communities and the Arab homeland. 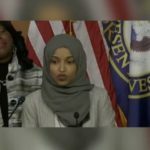 Because the movement has largely avoided these questions to date, the Palestinian community does not know how to best situate Palestine as part of the political program fighting against the Islamophobia of the Trump administration. For example, Palestine work rarely tackles the ever-expanding US security apparatus as part of the War on Terror. Such groups as American Muslims for Palestine are offering new programs to reconcile this paradox. Indeed, there is insufficient discussion in Palestine solidarity movement spaces regarding efforts to eliminate secret spying policies, such as Suspicious Activity Reporting or the Department of Homeland Security’s new Countering Violent Extremism program. The movement also struggles to organize against local city Joint Terrorism Task Forces. Equivalent programs, inaugurated with the Nixon administration’s Operation Boulder, operated through the first Intifada to surveil Palestinian communities. They were largely closed in 1993 but were re-opened after 2007 in the majority of US state capitals. A cross-sectoral democratic political movement that privileges community empowerment is needed. The groundswell of activism today can and will contribute to it, as will the engagement of young people by marrying service and politics while simultaneously connecting the local and transnational needs of the Palestinian community. Divestment wins are not insignificant, but they cannot hide the sobering political realities and setbacks that continue to impact Palestinians. The end goal is not another divestment victory, but the right of return and an end to Zionist colonization, as well as an end to the state violence and racial injustice impacting Palestinian communities and allies in the US. It is an ambitious agenda, but Palestinians know from their recent history that the more they concede, streamline, and crop out, the more they lose. Widen the margins, go big, and the Palestinian refugees will return home. Al-Shabaka Policy Member Loubna Qutami is a doctoral candidate in the Department of Ethnic Studies at the University of California, Riverside. 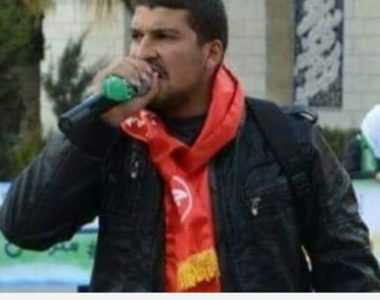 Qutami is also the former Executive Director of the Arab Cultural and Community Center (ACCC) in San Francisco as well as a founder, member, and the former International General Coordinator for the Palestinian Youth Movement (PYM).